Christmas in Puerto Rico is a die hard “all time celebration”. The holidays begin as early as November until mid-January. The “all island revelry” includes church masses, local carol singing, along with local Christmas parties serving all types of local Puerto Ricans dishes to include roast pork, pasteles, rice and beans and more. Come and spend Christmas in San Juan, exploring the area's amazing forests, markets, and spectacular views. 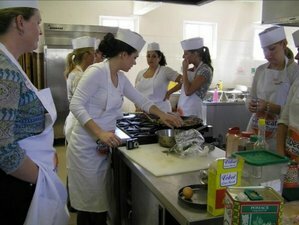 Complete this delightful holiday through an authentic cooking lesson and enjoy yourself during a tapas party. Enjoy a remarkable week-end getaway exploring the old city of San Juan, famous for its old world charm and hospitality. Pamper yourself with spa and treatments, and spend your nights in a luxury vintage hotel dating back to 1648. Book now, a wonderful holiday is just a click away. Imagine a destination as grand and storied as the "Isle of Enchantment" itself for your memorable Puerto Rico vacation. Old world charm and elegance meet contemporary comfort in this Small Luxury Hotel of the World. Celebrate with the hotel on their 50th anniversary and learn why their guests consistently rate them number 1 San Juan lodging on TripAdvisor. Throughout the years, couples have chosen El Convento, the finest San Juan boutique hotel, for a once in a lifetime celebration of their destination wedding or honeymoon. The hotel is located in the heart of Old San Juan, Puerto Rico, spoiling its guests with first-rate services: Complimentary high-speed internet access in all guest rooms and public areas, daily manager's reception, serving a variety of wine and hors d'oeuvres at La Veranda terrace, three diverse restaurants serving cuisine ranging from Spanish tapas to traditional Puerto Rican fare, El Convento Beach Club, featuring beach and pool privileges at sister properties, located on the best beaches in Puerto Rico Within walking distance, you can find world-class museums, historic landmarks, and vibrant nightlife. Arrival and pick-up from Luis Munoz Marin International Airport (SJU). Plan to arrive early to enjoy lunch at the hotel open-air tapas restaurant, El Picoteo. After your tour briefing, enjoy the rest of the afternoon unwinding at the hotel rooftop pool. Wake up refreshed, after breakfast for a time of strolling and shopping where you will find bargain shopping in abundance of duty free rum, perfumes, leather, and other top name brands finds. Afternoon is reserved to enjoy the local sights and flavors of old San Juan with our history and food tour. You will enjoy the authentic taste of Puerto Rican food with our foodie lunch tour, followed by your demonstration cooking class by a local professional chef. Evening is left for exploring on your own, or enjoy an in-house dinner in the hotel restaurant. Optional: Enjoy Christmas in Puerto Rico by joining in the Christmas mass and carol singing celebration, followed by the touring the city street side food fair. After breakfast, you will head out for your day excursion rain-forest and beach tour. You will be beach hopping while enjoying some of San Juan famous beaches, along with exploring of the local rain-forest and its base waterfall perfect for swimming. You will then enjoy a locally prepared Puerto Rican lunch picnic. The day is topped off with kayaking through the area Fajardos Bay. Back at the hotel dinner on your own or enjoy the tapas night dinner party. After breakfast, you are free to explore on your own. Later, spend the afternoon relaxing in the local resort spa. Dinner at the Tropical Bistro Restaurant. Optional: Enjoy Puerto Ricos Folkloric celebration of Hatillo Mask Festival. After breakfast, depending on your flight, you can spend the time for last minute shopping or enjoying some last minute poolside cocktails. Your van will be available to take you back to the airport. Freda Gore is the owner of Caribbean Culinary Tours, restaurant, and catering service. She has vast working experiences as chef instructor, trainer, and personal chef in several hotels and restaurants like Hotel Bay Antigua West Indies (a position she held for 15 years), Royal Antigua Hotel, Coconut Grove Restaurant, Pineapple Grille Restaurant, and Silver Palate Catering Service at Fort Lauderdale in Miami. This retreat will take place in San Juan, Puerto Rico. Each island has its own unique culinary individuality, with exotic names like Jerk Chicken, Pepperpot, Coo Coo or coconut bread, Antigua Black Pineapple Pie, Barbados Fried Flying Fish, Jonny Cakes, Conkies, Souse, and the list goes on. Explore the culinary mysteries of the Caribbean islands or taste fried flying fish at the Ostins fish market in Barbados. Budding Barefoot Contessas will learn the art of cooking authentic Caribbean dishes the way the Caribbean people cook. Caribbean Culinary Tours is in the business of providing you with a fun, safe, and exciting vacation. You will enjoy great food while learning the art of the islands cooking, and you will meet friendly people with the largest grins! You will build long lasting friendships, all in a tropical and relaxing atmosphere. Join and book a trip of a lifetime! Caribbean Culinary Tours mission is to share the tropical flavors and unique taste of the Caribbean region through the islands cooking styles and culinary culture. Their mission, as your hosts, is to give you an enjoyable island paradise vacation while making your culinary adventure memorable. Please note that spa treatments are included in the price of your holiday. The nearest airport to the location is Luis Muoz Marn International Airport (SJU). Caribbean Culinary Tours will pick you up from the airport. The pick-up is included in the price. Caribbean Culinary Tours are perfect for travelers who want to learn the art of Caribbean flavors and culture while enjoying a fun vacation.